Investing in your home is one of the few ways you can have your cake and eat it too. 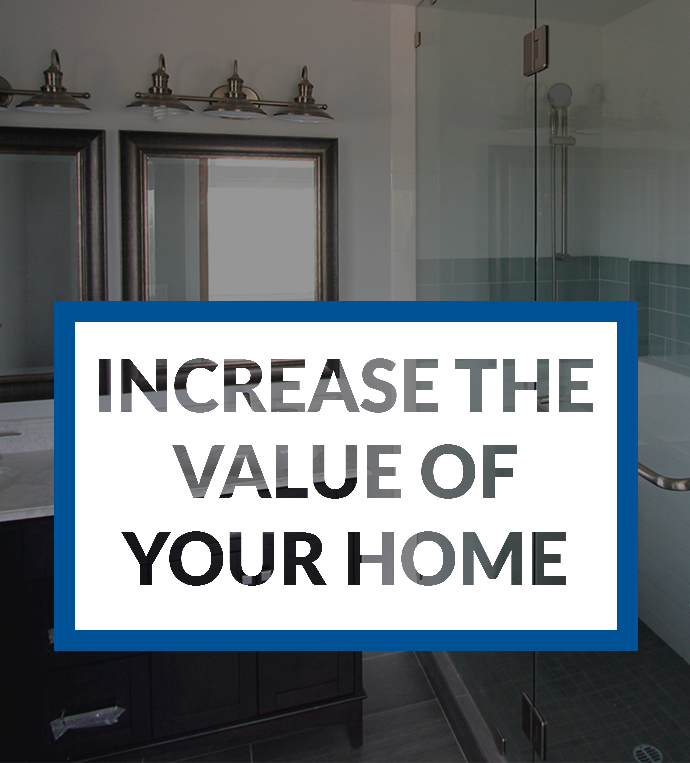 When you invest in the right home improvement projects, not only do you get to enjoy it, but you can recoup a lot of your money later. This is especially true in San Diego, where a lot of the homes are older and there are very few new homes on the market. Spending a little money on home improvement can really make an older home stand out. Painting is inexpensive and can pack a big punch. When painting the interior, bold colors can be fun, but if you are reselling soon, you will want to stick to neutrals. In San Diego, a lot of the homes are stucco, but that doesn’t mean you are stuck with the color of your home. There are a lot of different paint options for giving your stucco a facelift. If you have a smaller home, decks and patios are a great way to make it feel bigger without investing in an addition. Plus, with San Diego weather, who wouldn’t want a deck? When putting in a deck, homeowners can recoup about 85 percent to 100 percent of the costs when they sell their home. Below is a walking deck we did in Rancho Penasquitos that really opened up our clients’ home and gave them a great place to entertain outside. Installing new windows helped add to the facelift. 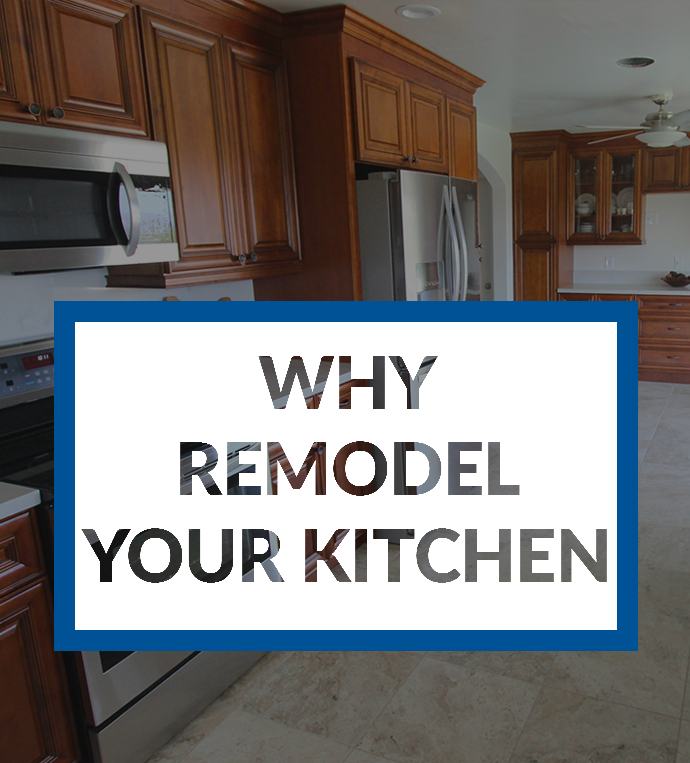 When revamping your kitchen, you can expect to recoup about 83 percent of the cost. Your best bet is to stick with high-quality materials like granite, nice fixtures, and stainless-steel appliances. However, don’t worry about splurging on the high-end appliances, most buyers won’t spend extra for an expensive stove. And be sure to avoid anything too trendy that might get dated quickly or exclude buyers whose taste differs from your own. 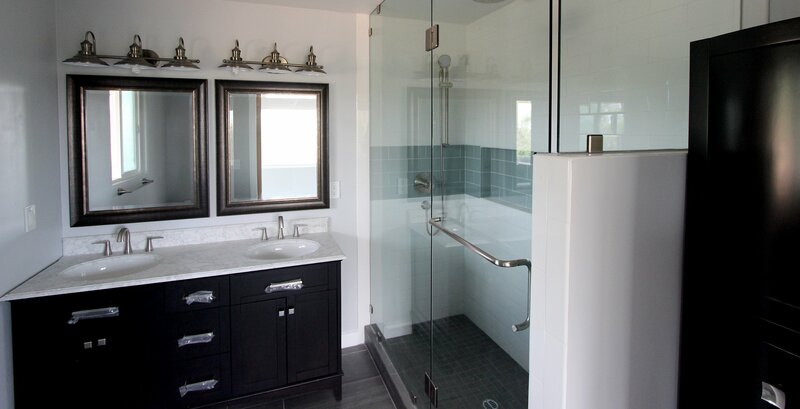 Redoing your bathroom can offer returns of 68 to 78 percent. It is a good idea to update any countertops or fixtures, and replace frosted glass with clear glass. Getting rid of the vanity strip lighting and huge mirrors is also inexpensive and can instantly make a bathroom less dated. 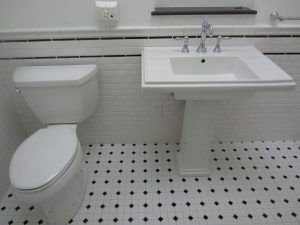 Remember to stick with neutral colors for tile and flooring. Everybody wants an open floor plan and it’s often on the top of the list for people who are buying. People nowadays are looking for large, open spaces. Having a kitchen that is connected to your living room can also significantly increase the value of your home. Even if you have an older home, removing a few non-load bearing walls can really open things up. This is a home improvement that can pay off big. The outside of your home is the first and sometimes only thing people see. Many buyers decide whether or not to buy a home in the first few minutes of walking up to a house. Home improvements like a new roof, a front porch or overhang, and a nice front door can give your home a much-needed facelift. 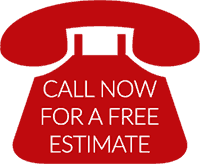 Switching out old windows can save you big on energy costs. Plus things like rebates and tax credits can help cover the cost of replacement. It is a win-win situation for both you and the environment. If your home is dark, you can also add a lot of natural light by adding a new window, skylight, or solar tube. Nobody wants to live in a dark house and poorly lit rooms look smaller. And when you live in sunny San Diego, there is no reason not to let all that natural light in! When people are looking for a home they want storage and lots of it. For many buyers, having things like a pantry or laundry room is not just a want, it’s a necessity. People are also looking for extra storage closets and built-in garage storage.